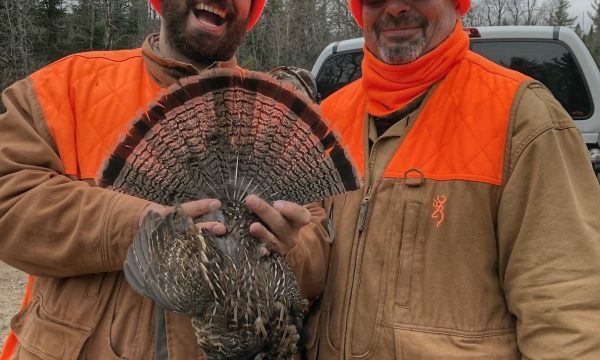 Guided grouse and woodcock hunting in the Adirondack Mountains of New York with North Country Outfitters. 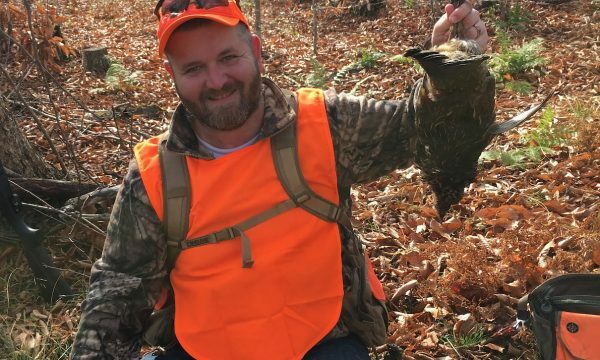 During your guided grouse and woodcock hunts in the Adirondack Mountains of New York, you will undeniably be hunting some of the truly storied coverts of modern day grouse hunting. We offer hunts late October through February, for early season hunts our guides work exclusively for the Hungry Trout Resort, for which you can find a link below. You will be led by our head guide Matt Delorenzo, or any one of our other professional guides. We hunt primarily over the French Brittany, a dog perfectly suited for grouse hunting in New York and the cover that goes with it. You’re likely to spend time with several other breeds depending on which guide you are paired with. All of our dogs are close working, an absolute prerequisite for guides at North Country Outfitters. Your hunt will be very visual, you will see everything unfold. There won’t be any searching for dogs using GPS devices. We hunt with our dogs and our eyes, not electronic devices. This makes for a much more memorable experience. We have incredible flights of woodcock that come to the area in the fall and we have excellent recruitment of local birds. 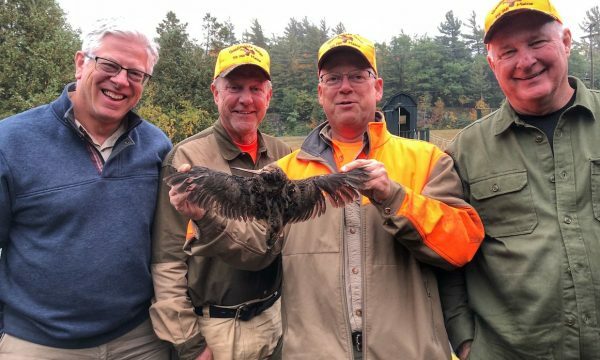 In good years we can have premium woodcock hunting solely over our resident birds. The resident birds are augmented by flight birds that come out of Quebec in the middle of October. The best kept secret in grouse and woodcock hunting. 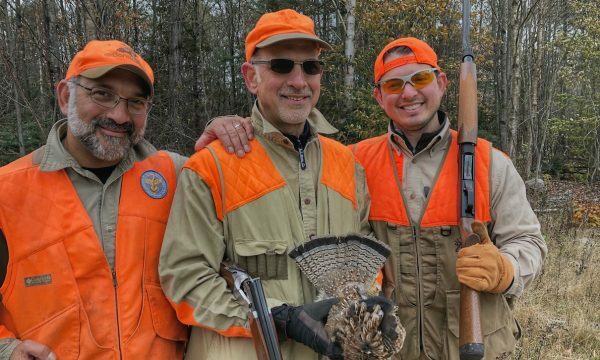 Despite the storied history of grouse and woodcock hunting in the Adirondacks. 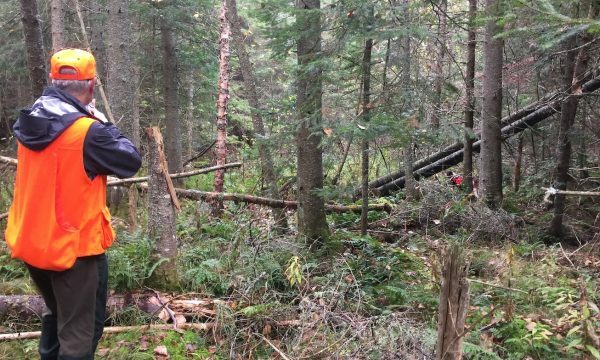 The Adirondacks area a forgotten grouse hunting destination. Much to the delight of local grouse hunters might I add. To explain, the Adirondacks were heavily logged and deforested during the glory days of the grouse hunting revolution. 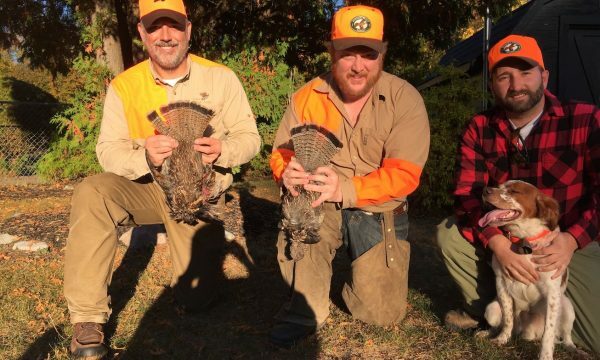 As a result, grouse hunting in the Adirondacks fell from the wayside. Notwithstanding the stories of finding 40 grouse in a single tree, the hunters have never returned. 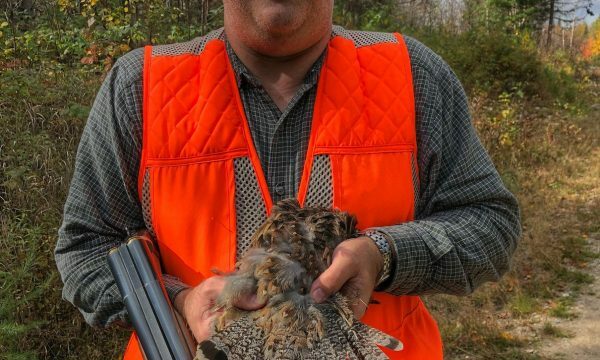 Thanks to modern day logging and forestry management practices the grouse and woodcock hunting in the Adirondacks has seen a major resurgence. To explain, the landscape was once stripped bare but then grew into beautiful second growth forest. As those forest continually mature, they are harvested creating prime second growth on a rotating basis. logs in past years have shown flush counts that rival those of any premier grouse and woodcock hunting destination. To that point, in many cases our numbers exceed them. 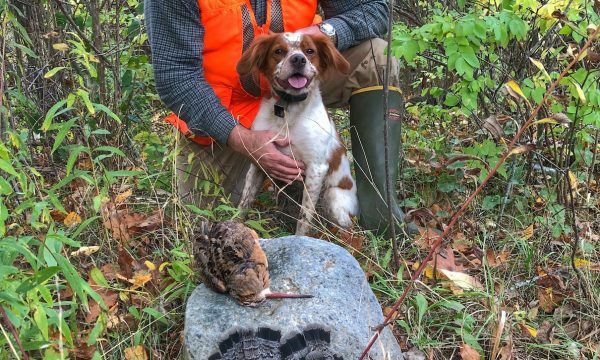 Our grouse and woodcock hunting team has had the opportunity to hunt grouse all over New York, Michigan, Vermont, New Hampshire, and Maine. They collectively have hunted Arizona, North Dakota, South Dakota, Kansas, Washington, Mexico and Quebec, yet they choose to live and hunt here. We take that as a high accolade for our New York grouse hunting covers here in the Adirondacks. To see more information about the history of grouse and woodcock hunting in the Adirondacks, scroll to the bottom of the page. 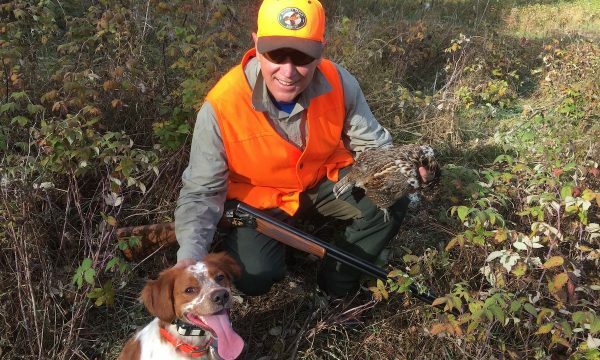 INQUIRE ABOUT GUIDE GROUSE AND WOODCOCK HUNTING TRIPS NOW. THEY ARE IN HIGH DEMAND! Grouse hunting in the Adirondacks has a storied history. Important to realize, people have been grouse hunting in New York long before the Adirondacks as we know them were settled. One of the earliest records of grouse hunting is the result of a rumor regarding plentiful mineral deposits in the Adirondack Mountains. Take the case of an expedition by boat to search for iron ore. The skipper of that is man boat by the name of A.M. Martin. During the trip he took advantage of a calm day nearby to where his boat was moored. ” He crooked his arm around his gun and sallied forth in search of partridges and a change of diet. Following a bird that had flushed, he tried to pull himself over a small ledge by grabbing a small bush. When this pulled loose, it uncovered a dark, interesting looking stone. Sticking it into his pocket he hurried on. He then sent it to Ticonderoga, there to be recognized as high-grade iron-ore. Thus were the penfield iron deposits discovered”. As it were, this took place in the early 1700’s. Our guided grouse and woodcock hunting trips frequently ensue very near to the place that this happened.